Hundreds of people attend an evening rally at Washington Square Park in support of Muslims and immigrants and against the building of a wall along the Mexican border on January 25th, 2017, in New York City. On Monday, President Donald Trump added a golden oldie to his pre-election playlist. Tucked into his tweets about that caravan of would-be refugees walking their way north from Central America were the familiar strains of Islamophobia. Between assertions that desperately poor, homeless people pose a grave threat to the nation, he claimed without evidence that the group of travelers includes "criminals and unknown Middle Easterners." It&apos;s fair to assume he is simply scaring his supporters in an attempt to get them to the polls in two weeks. But civil rights activists always worry that such fear-mongering rhetoric can increase antipathy toward, and therefore make life more difficult for, American Muslims. Encouraging new research suggests the population isn&apos;t so easily swayed. 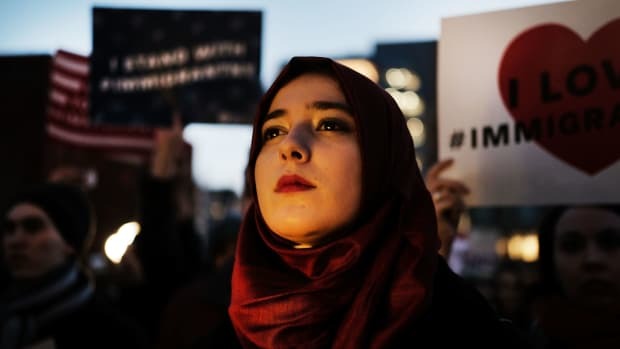 It reports that, while many Americans still view Muslims with suspicion, even well-publicized terrorist attacks do not heighten those negative feelings. 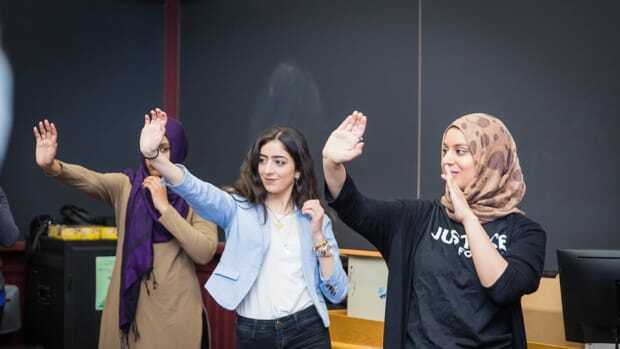 "In the wake of terrorist attacks perpetrated by self-identified Muslims, Americans do, in the aggregate, distinguish between terrorists and the broader community of Muslims," write political scientists Amber Boydstun of the University of California–Davis, Jessica Feezell of the University of New Mexico, and Rebecca Glazier of the University of Arkansas–Little Rock. "While on average, people become more concerned about religious radicalism, they do not commit a fallacy of generalization by feeling cooler towards Muslims in general." These findings, reported in the journal Research and Politics, came about largely by accident. On November 4th, 2015, the researchers posted a public opinion survey on Amazon&apos;s Mechanical Turk website, which attracts a large and diverse sample of Americans looking for employment opportunities. It stayed up until December 16th. 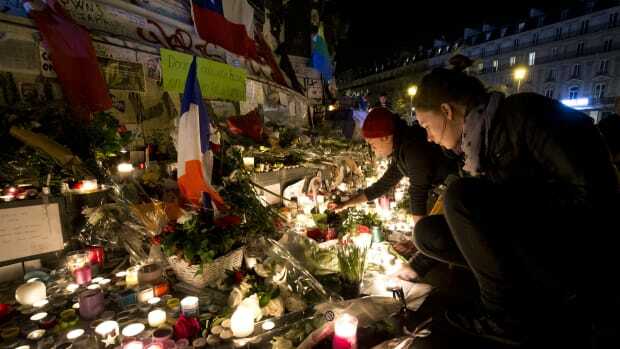 Two high-profile terrorist incidents took place while the survey was online: the November 13th attack in Paris, in which 130 people were killed; and the December 2nd attack in San Bernardino, California, which killed 14. The researchers compared the answers of the 897 people who filled out the survey before the attacks; the 710 who did so between the attacks; and the 498 who did so after both attacks. Participants reported their level of concern about "the possible rise of religious radicalism" in both the United States and around the world. They also completed a zero-to-100 "feeling thermometer" to indicate how warmly they feel about Muslims. Finally, they were asked whether their past encounters with Muslims have been generally negative or positive. While the attacks "significantly increased concerns about religious radicalism in the U.S. and in the world," the researchers report, "on average, respondents&apos; feelings towards Muslims did not significantly change across the three time periods." This suggests that, "in the aggregate at least, people did not generalize their concerns about radicalism to concerns about Muslims." As one might expect, those who reported past negative encounters with Muslims expressed slightly more negative feelings toward them after the attacks. This was counteracted by the fact that those who reported past positive encounters actually reported slightly more positive feelings toward them in the wake of the two tragedies. 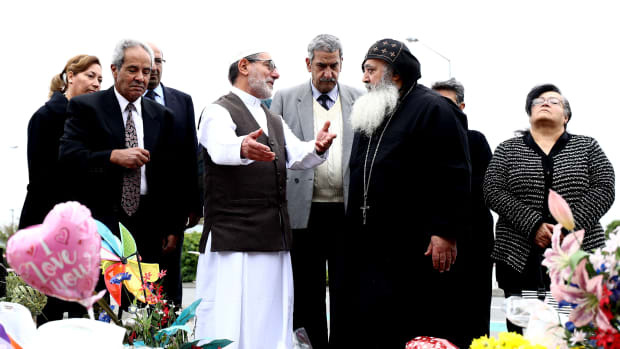 They appeared to be rallying in support of the Muslim community in response to a feared increase in anti-Islam prejudice. 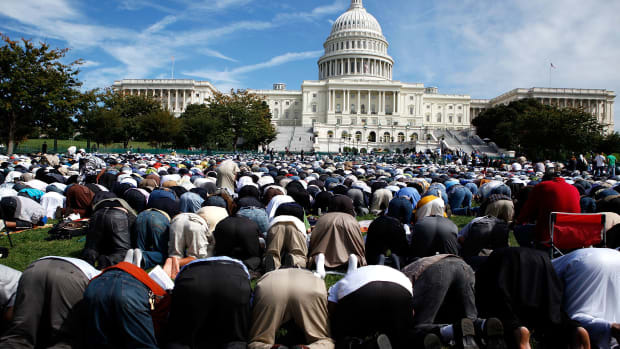 Last year, the Pew Research Center reported that, overall, Americans are feeling significantly more warmly toward Muslims than they were three years earlier. As 9/11 retreats into history, anti-Islam prejudice is gradually declining—and this research suggests even a terrorist attack is unlikely to change that trajectory toward tolerance. Muslim-American leaders are suspicious of an administration that they say is hostile to their communities at home and abroad. What's the Real Goal of Islamic Terrorists? Israeli researchers suggest it may be inciting an anti-Muslim backlash. 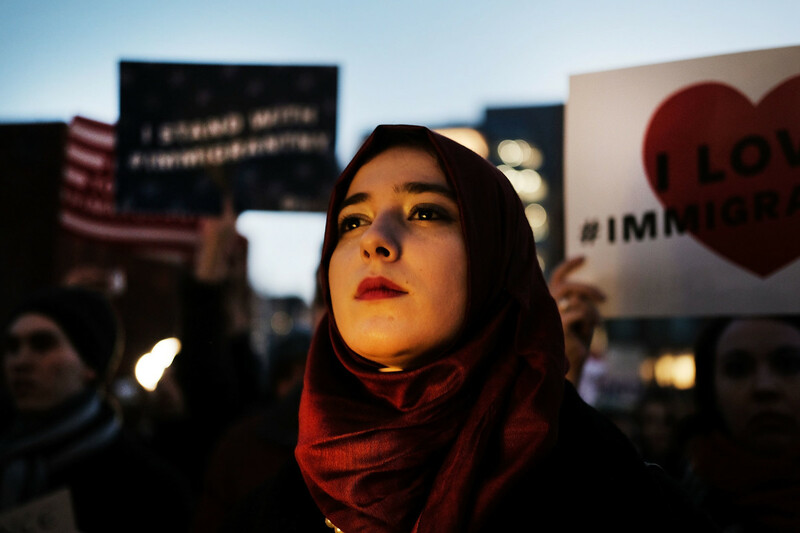 Islamophobia is becoming more widespread and systemic throughout the U.S., but Muslim Americans aren't idly awaiting their ruin.